Did you know? 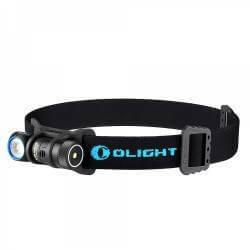 The Olight X9R with 25 000lumen offers 10 years international warranty. 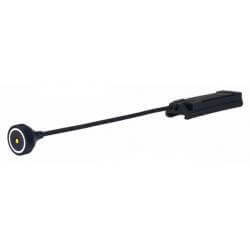 Olight charging dock specifically made for the S1R/S2R/S10RIII/S30RII/S30RIII Baton fast charging function. Charge your light quick! The M20SX JAVELOT is a new generation of two-tail-switch tactical flashlight. 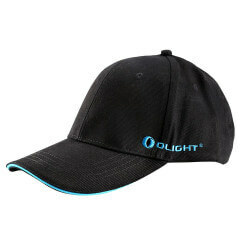 The maximum output has been improved to 820lm. 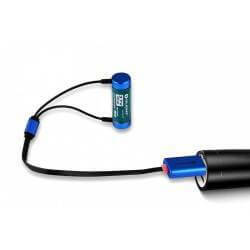 M20SX JAVELOT is powered by 2*CR123A or 1*18650 battery. 650mAh RCR123A battery specifically built for charging in the S10R III and H1R Nova. Get an extra battery for on the go! 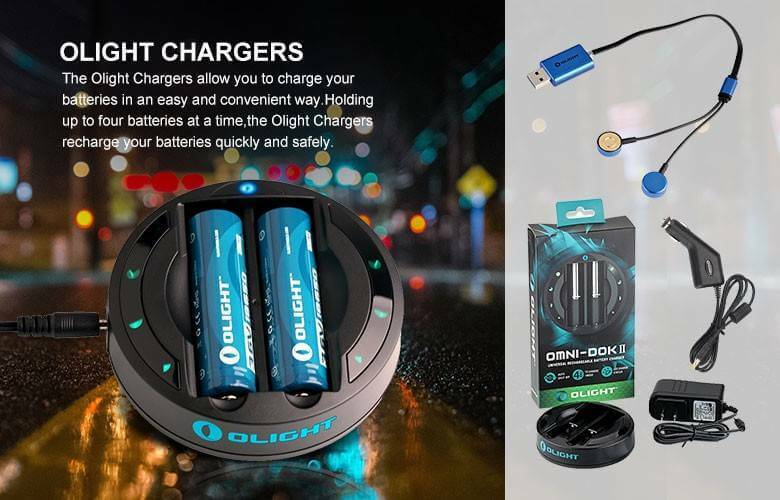 The Omni-Dok is an intelligent, two-bay charging system designed to safely charge the most common rechargeable batteries used in flashlights, cameras, toys, remotes, small appliances, and more. 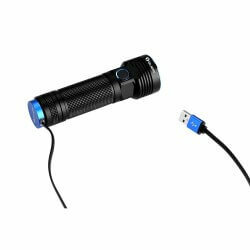 The i3E is an extremely compact flashlight with a maximum 90 lumens running off of a single AAA battery. 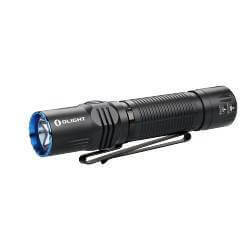 The M1X Striker is a dual-switch tactical LED flashlight featuring a high intensity output with a compact form factor. 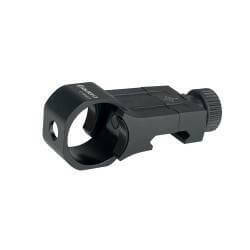 The R50 Pro LE holds a Cree XHP70 LED with four light emitting cores to deliver a maximum output of 3200 lumens which delivers over three times the output of a high performance flashlight using a Cree XM-L2 LED. The Spring, Summer, Autumn, Winter, and Eternal are the limited titanium & solid copper editions of the new S1R Baton II. 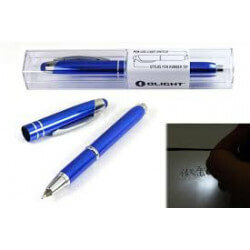 They are the first of Olight’s new generation of single IMR16340 powered rechargeable side-switch EDC flashlights. Olight is proud to introduce the new M3XS Ultra-Thrower Javelot extended-range, variable-output, customized Cree XP-L LED flashlight. 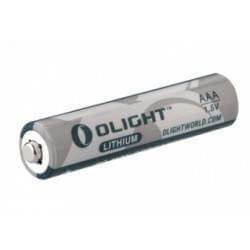 High quality Olight batteries will keep your flashlights topped off and ready for anything. 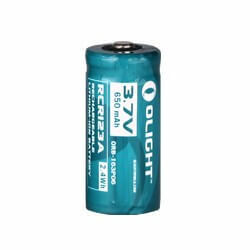 We offer convenient CR123As, RCR123As, and rechargeable 18650s that fit most of our models. 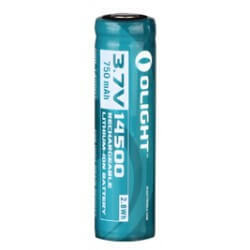 We also have introduced a 750mAh 14500. 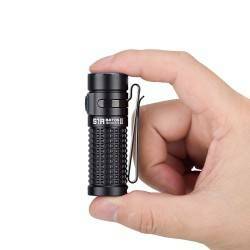 The S1 MINI are the smallest and most compact flashlights in the Olight best selling baton series. The RWX07 is our brand-new pressure switch built specifically for the Warrior X featuring a noiseless and a sensitive pad for perfect switch manipulation. 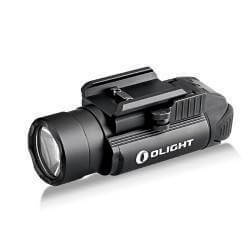 The flashlight Olight M2R is our brand new rechargeable dual switch LED tactical flashlight. The PL-MINI 2 is powered by a built-in lithium polymer battery, which can be charged through our signature magnetic charging port located at the bottom of the light. Our flagship rechargeable pocket light, the S1R Baton inspired us to bring that same concept to a headlamp. 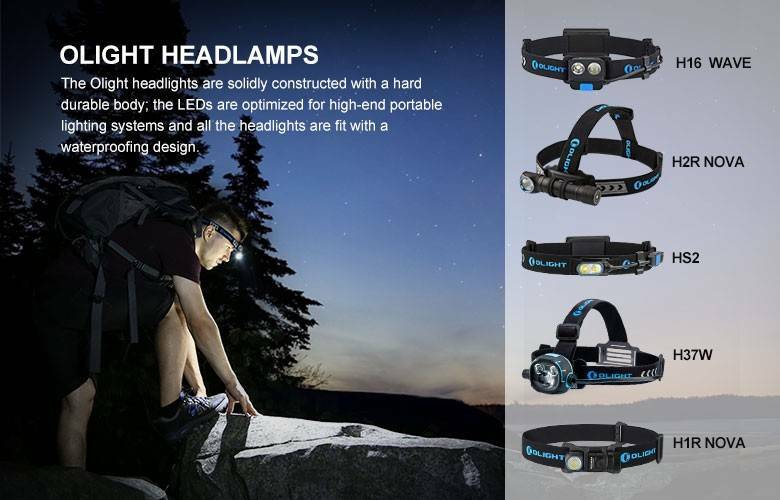 The H16 Wave is the completely redesigned motion activation headlamp featuring two parallel LEDs with one built for width and the other for distance providing maximum visibility. 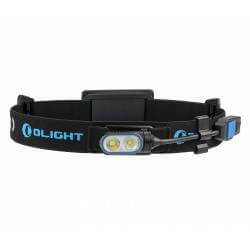 The Olight HS2 is a compact and lightweight headlamp with a uni-body aluminum alloy structure designed for runners and outdoor use. 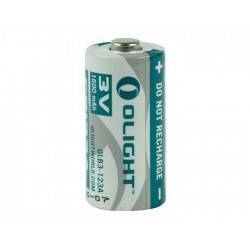 High quality Olight batteries will keep your flashlights topped off and ready for anything. The S1R II Baton is the first of Olight’s new generation of single IMR16340 powered rechargeable side-switch EDC flashlights. The PL-2 Valkyrie is the brightest compact weapon light on the market using a CREE XHP35 HI Led delivering a scorching 1200 lumens. 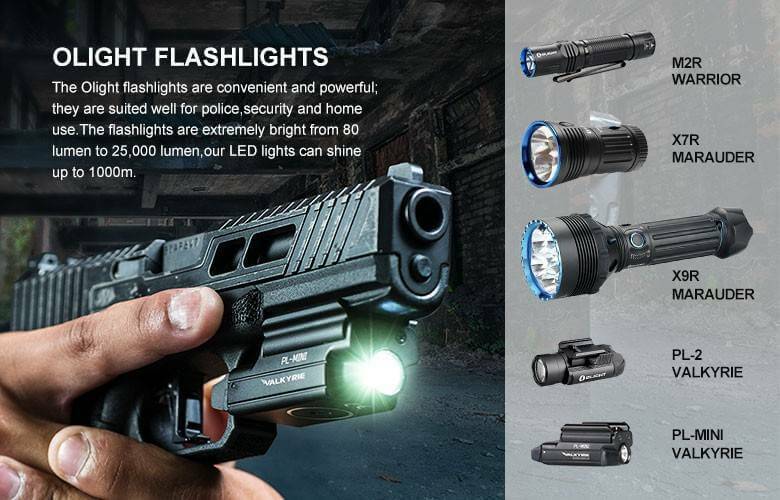 Olight, a global premium flashlight manufacturer, is proud to introduce a new, defensive take on the popular M18 Maverick. 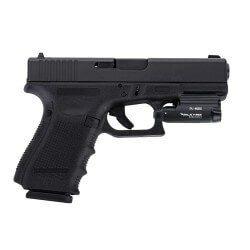 The M18 Striker uses the same compact form of the Maverick, but features a simplified user interface, instant access to 800 lumens, and aggressive bezel for a last-resort defensive tool. Why carry a flashlight every day? Until you have become customary to it, one of the biggest questions people ask is why carry a flashlight every day? It’s not an uncommon question and until you come into that time of need. It may never have been a thought until you needed to change a tire at 2am and didn’t have a light in your car. Unfortunately at that time, it’s far too late.